Established in 1996, Plaisance is a CKC registered family kennel producing well socialized English Setter puppies. I breed English Setters for show, companionship and hunting. Many of my setters are both show champions and beloved family companions. I truly love the breed. I have lived with setters all my life and have been showing since 1994. My setters have been recognized with National Specialty wins. I have a passion for developing type, temperament and structure in my setters. All the setters in my breeding program have their OFA clearances for Hips, Elbows and BAER ( hearing) & Thyroid. Placentia is a small town of less than 5,000. It is located on the Avalon Peninsula of the island portion of Newfoundland and Labrador, just 130 km. from the capital city of St. John's. 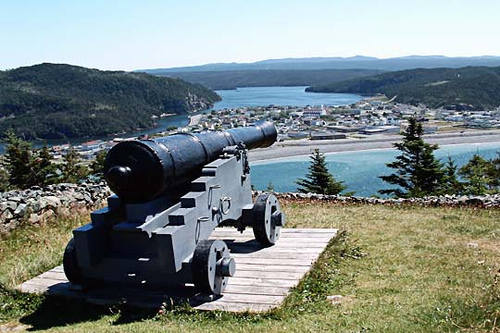 Placentia was settled by the French in 1662. Originally named " Plaisance" it served as the French capital until ceded to the English in 1713. At one time a member of the English Royal Family, Prince William Henry, served as Governor. The French name for Placentia - Plaisance, meaning " a pleasant place", gave me the inspiration for my kennel name. i.e." The English Royalty of Plaisance".